The area around Craig More House was closed off as bulldozers moved in on January 28 and razed the building to the ground. The gaping hole in the skyline where it once stood is a stark reminder that Dounreay's days are numbered. The building, which was constructed in 1961, was the flag ship of AEA Technology, the privatised offshoot of UKAEA. In later years it was used as the Caithness headquarters of Dounreay sub-contractor Nuvia Ltd, before becoming empty in 2009. 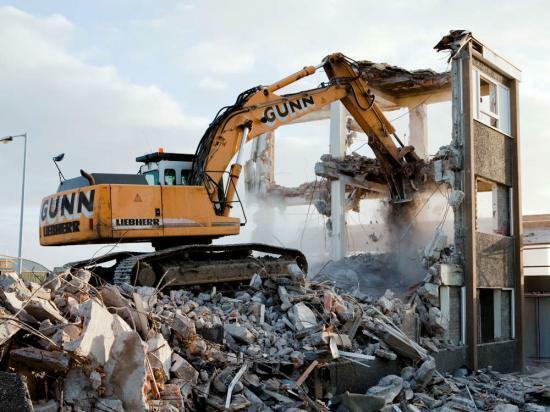 Local company Gunns won the contract to carry out the demolition.